The fourth in a series of David Bowie box sets spanning his colorful career is out this fall. Out Oct. 12 via Parlophone, Loving The Alien will cover the years 1983-1988 in a collection of live albums, plus a reworked version of 1987’s Never Let Me Down, according to Bowie’s website. A robust assemblage, Loving The Alien will be available as 15 vinyl LPs or 11 CDs. It follows the previous three chronological sets, Five Years (1969 – 1973), Who Can I Be Now? (1974 – 1976) and A New Career In A New Town (1977 – 1982). The new version of Never Let Me Down was produced by Mario McNulty, and features string work by Nico Muhly and a guest appearance by Laurie Anderson on “Shining Star (Makin’ My Love).” There’s also a previously unreleased live album, Serious Moonlight, included in the box set. A radio edit of the song “Zeroes” was released digitally as a single. Each box set comes with a book containing unpublished photos and press reviews. Also worth noting is Re:Call 4, a collection of songs, demos, outtakes and b-sides from the beloved soundtracks of Bowie films Labyrinth, Absolute Beginners and When the Wind Blows. There’s a lot packed into Loving The Alien, so visit the David Bowie website for a complete rundown of what’s included, as well as the entire tracklisting. 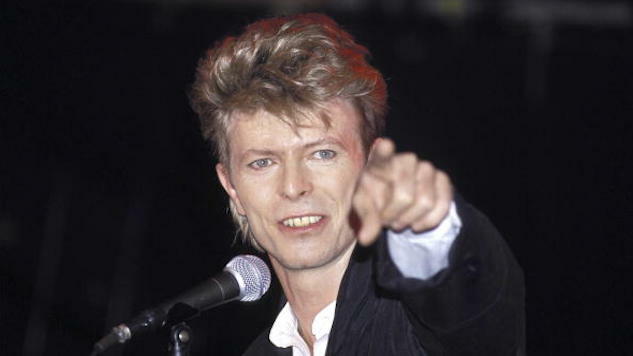 Below, listen to Paste archived recordings from a 1983 Bowie show in Canada.